Baloney…and not the Oscar Mayer type. Our bozos in Washington have likely failed basic math in their schooling. Really isn’t that difficult to understand, is it? More importantly, who’s gonna pay the debt off? I’m sure you can guess better than our elected idiots. John Wayne. Clint Eastwood. Kirk Douglas. All familiar names to us with a common thread – they helped create the lore of the rough and tough cowboy. Killing eight bad guys with their Colt .45 six-shooters. Without reloading. Bullets would glance off them as if they were slickered with the world’s supply of Vaseline. Make that a non-stick coating. With that, let’s get into the lore – and the truths – of the samurai. Yes, Japan had their John Wayne, Clint Eastwood and Kirk Douglas creating the samurai lore. Not to bore you with the names of key Japanese actors portraying samurai, but Toshiro Mifune is their John Wayne. 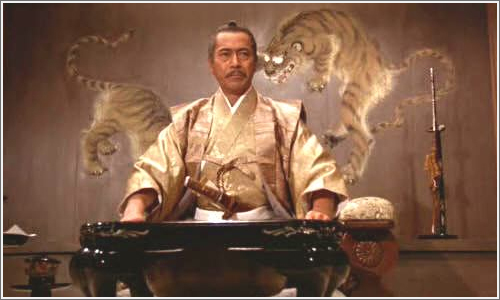 You may have seen him playing Lord Toranaga in the 1980 TV mini-series “Shogun” opposite Richard Chamberlain. Let’s give you a taste of the movie “lore” created in Japan. This compilation is of “Zatoichi” (座頭一), a blind swordsman of all things. He is portrayed by Katsu Shintaro, another famous actor. Think of him as Sean Connery in a series of films; instead of James Bond, it is Zatoichi. His character is a very entertaining combination of John Wayne, Clint Eastwood and Jackie Chan, all rolled into one fantasy character. The lore. No need to watch the entire thing, of course; its intent is to expose you to the samurai lore. In these fictional fight sequences (What am I saying? It’s a movie! ), Zatoichi slays up to 40 bad guys with his one sword, i.e., eight guys with a six shooter. Incorrect. More like 20 bad guys with a six-shooter. Yes, Zatoichi is smothered in Japan’s supply of Vaseline…and there is no guard (tsuba 鍔) on the sword to protect his pinky. Anyways, I’m sure you have a flavor of the samurai lore by now. Did any of you watch the entire clip? Better than the Gunfight at the O.K. Corral (which really didn’t happen in the O.K. Corral, by the way)? 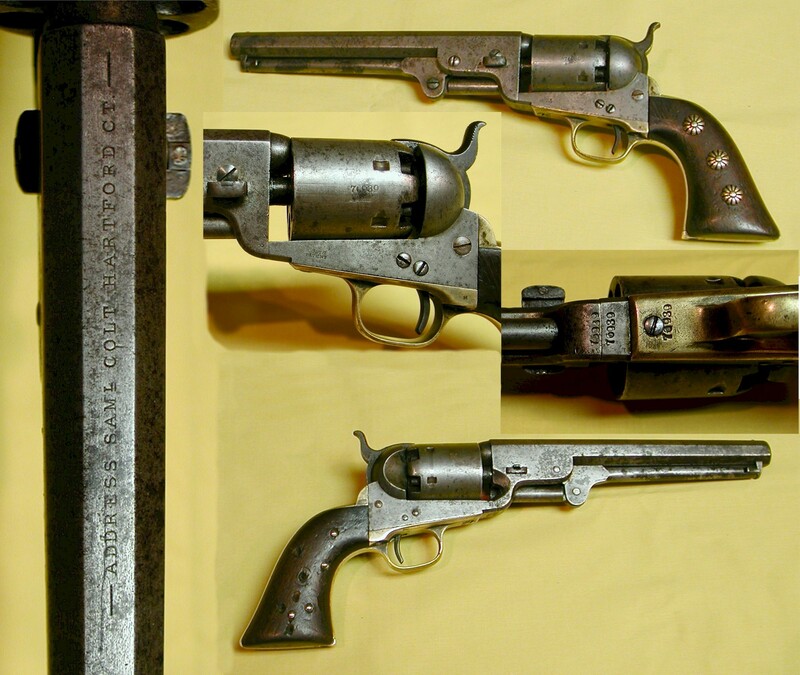 When Colt made a six shooter, how did they test its accuracy? After all, no cowboy would want to aim at a bad guy and have it miss by a couple of feet when it counted. Only Bob Hope. They test fired the pistol, of course. Likely at a target with a bulls-eye. And its resulting level of accuracy also made for higher selling prices. They would be prized possessions. Well, second question: how did the samurai know his samurai sword, or “katana” (刀) was sharp? 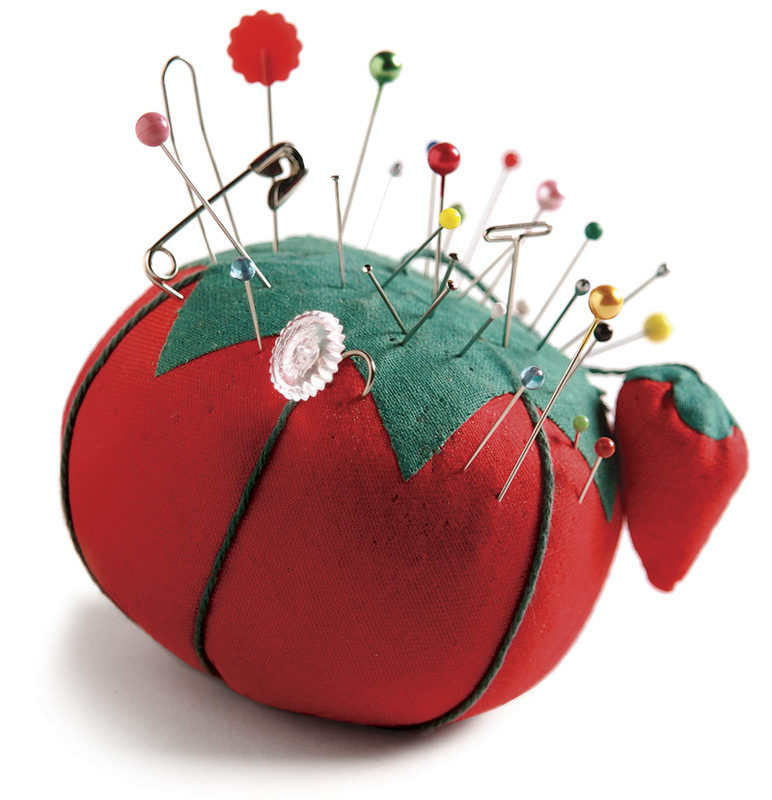 Jabbing a bulls-eye would be unthinkable. Where’s the fun? They would test the katana out on an executed criminal. Cut off a limb. Perhaps an arm or a leg. If a samurai was of high enough ranking (perhaps one of my samurai ancestors), he can pay……for a live one. While the “lore” varies, there is one documented story – but who knows? The story is a criminal was being taken to his execution when he spied a high ranking samurai with a vassal carrying his brand-spanking new katana. The criminal asked, “Are you going to try out your new katana on me?” to which the samurai replied in the affirmative. The samurai said he would try a slashing diagonal cut on him from the shoulder down. A grisly first “OMG Samurai Truth”, perhaps, but truth nonetheless. Not lore. But one thing is for certain: the consequence of execution did not defray criminals from doing their dastardly deeds even in the 1600’s. And they did indeed carry out the sentences. No ACLU. Stay tuned for more OMG Samurai Truths. More to come. A most touching Christmas gift for a decorated WWII 10th Mountain Division soldier. You will receive the most wonderful Christmas present in return if you read this. Husband and I left early. Our car loaded with gifts and food. On our way to his house I said “I bet you he says to wait and he will go upstairs and get his uniform”. The same uniform he has had for decades. The one he has earned the honor to wear. The uniform he treats with respect and care. I expected him to share it with us. Every time I took someone new to see him he would show it to the new person. Like he did with me on my first visit with him and his wife. In the seat behind me was a stack of special gifts from around the world. Words of thanks and comfort, and well wishes for one of the men who stood between us and hell during World War II. Old man Jack left us. To be with his beloved wife Carol…and his comrades who were left behind “on those stinkin’ islands”. Life is so fleeting. Some people go through a whole lot. Some of us don’t. Old man Jack was one of the former. I need to find the time to write more of what he experienced as a young man. So that at least those that read this blog will know…and appreciate. Old man Jack had his health problems in his last years. But when he was a young sailor, he had malaria, dysentery…leeches between his toes, all from fighting on those damn islands in the Southwest Pacific during WWII. And in 2009, he nearly died from a horrid intestinal infection. His abdomen had swollen. Fat Albert would have been jealous. He was in ICU for a couple of weeks. After they transferred him to an extended care facility, I made it a point to see him every day…even if it was for brief time. He looked forward to it as did I. But soon after being transferred, he went into a depression. He wouldn’t eat – especially what he called the “Army slop” they had at his hospice. Man, he complained about the chow – but his eyes lit up when I (secretly) took him a Mickey D’s burger and fries once in awhile. He’d smack his lips. But I’d make him eat the chow when I didn’t bring him his hamburger and as usual, he’d get pissed. But not really. One evening, he was really weak. He wouldn’t raise his head off his pillow. Carol was his wife. He loved her greatly. She had passed away eight years before. I think he wanted to be with her. Well, I pushed him to get better. And he did. He finally consented to get into a wheel chair a couple of weeks or so later. I can’t exactly remember but it was June of 2009. It was his way of saying, “Get lost,” by the way…but didn’t mean it as usual. He loved the attention. Old Man Jack was on the road to recovery. Well, the recovery was short-lived. He is now with his beloved Carol and eating her wonderful cooking. She cooked things exactly as he wanted. Hamburger patties burned to a crisp. Scrambled eggs WELL done. He never complained – as he knew he wouldn’t eat if he did. Deep down, he knew who was the boss. I miss you and your hollerin’ and moanin’, Jack. And I knew you never meant it. And as sad as I am, I also know you are now free of those horrible nightmares from combat that you endured for 70 years…and that you and Carol are on your second honeymoon. You were a helluva representative of the Greatest Generation. 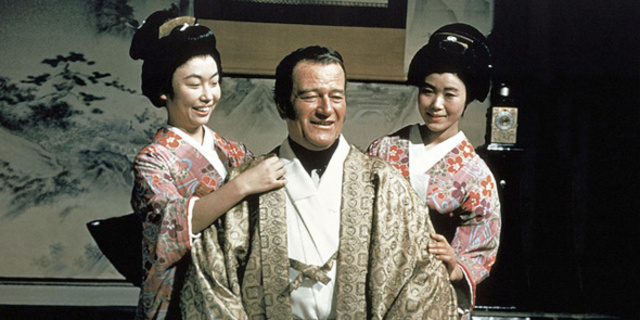 John Wayne would have made a great samurai. He often killed eight men with his six shooter. 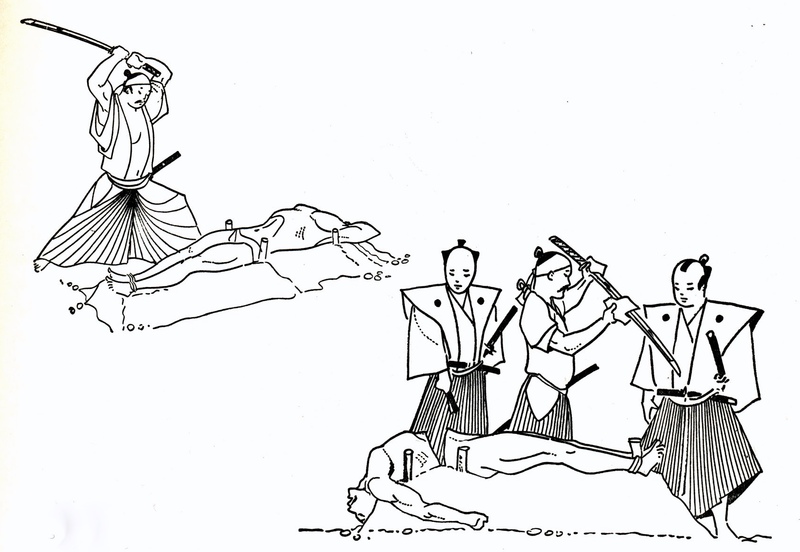 Samurais did the same thing… Slashed through two dozen other samurai with one sword…at least in the movies. My mother drummed it into me for the first years of my life – that “my ancestors” were samurai. And not just plain ol’ run-of-the-mill samurai. Okie-dokie. I’ll help. High ranking samurai. It gets too complicated so for argument’s sake, I have a second cousin, Toshio. He was adored by both my mother and Aunt Eiko. 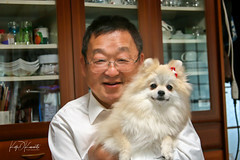 “Tosh-chan”, as we lovingly called him, was always kind to them through the years. Considering his horrendous working hours common amongst Japanese workers of that time, he still made the effort without complaint. He eventually became a top-notch engineer for Mitsubishi and worked in Cairo and Singapore to name a few places. He lives in Yokohama, Japan. 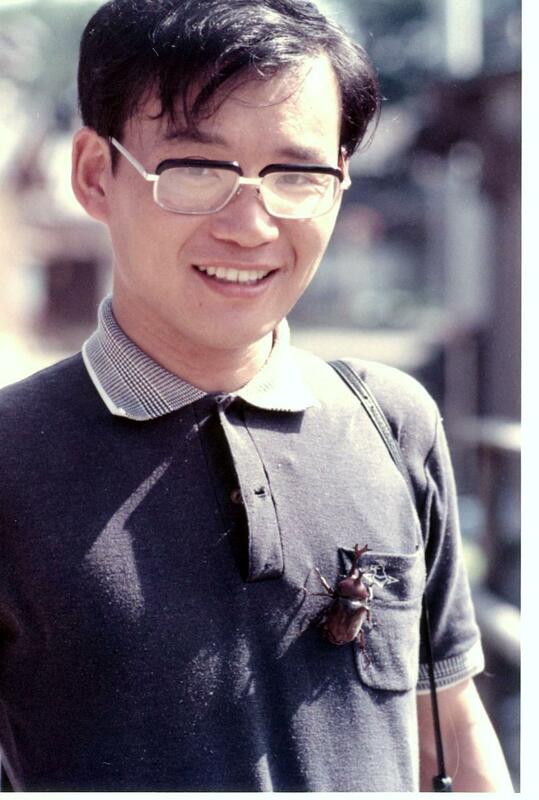 When I lived in Japan alone for a couple of years as a very young adult, ever faithful Tosh-chan was there again. This time to help me out as well. 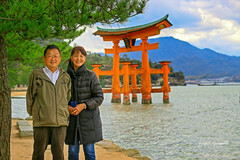 As it turns out, and while mom was there with me visiting, he took us to his home village of Fukui, on the Japan Sea side. It was beautiful country and the area still had the ambience of pre-war Japan. We stayed at his parent’s house and were fortunate to meet some of the extended family. The house was typical from that early time – even the abode was outside. And the mosquitoes. Notice the plural? They never went away. The little buggers loved me… After a couple of hours, I was swollen like a Japanese pin cushion. Mosquitoes and me after a while – nice and puffy. One day, Toshio drove mom, his mom and me to a very old temple, Zenshouji (全昌寺〒922-0807 Ishikawa Prefecture, Kaga, Daishoji Shinmeicho, １ if you’re curious). It was at least three centuries old and miraculously escaped US Naval bombardments. We met with the head monk who took us to a room where we waited. We sat with our feet under our hineys; you should try that. Very uncomfortable. And the damn mosquitoes were there. Then out came the monk with a VERY old notebook for the lack of a better description. It had black front and back covers. It was about three inches thick and quite dusty. It was held together by an old hemp string which bound EQUALLY old rice paper. He opened it up on the tatami flooring. Example of calligraphy on rice paper. Written by Great-Great Grandfather Wakio Shibayama. The rice paper the history was written on was from the 1600’s… from about the time the Mayflower set sail on her historic voyage putting it into an American mindset (which was AFTER the Native Americans were here, of course). And the writing had some details on “my” samurai ancestors. Unbelievable. Even Joan Rivers would have been speechless. We then proceeded up a good sized hill accompanied by – you guessed it – the world’s supply of mosquitoes. I would have preferred just one Doutzen Kroes bug me. Was it my Hai Karate cologne?… or my blood infused by twenty years of Oscar Mayer bacon? Whatever it was, I must have smelled scrumptious to them. I was the nectar of the gods to the little buggers. We climbed. And Tosh-chan pointed out that as we climbed up, the gravestones (called Ohaka) got older. And older. And older. 1900. 1850. 1800. 1750. 1700. 1650… “Fascinating,” as Spock frequently said. Then, near the top of the hill by a ledge was a line of ohaka. There they were. “My” ancestors. Samurai ancestors. I was standing by their ashes. You can see the edge of the hillside off to left of Tosh-chan. The ohaka with the roofs on them mark the resting place of the honorable samurai. (The littler ones mark the resting place of children.) 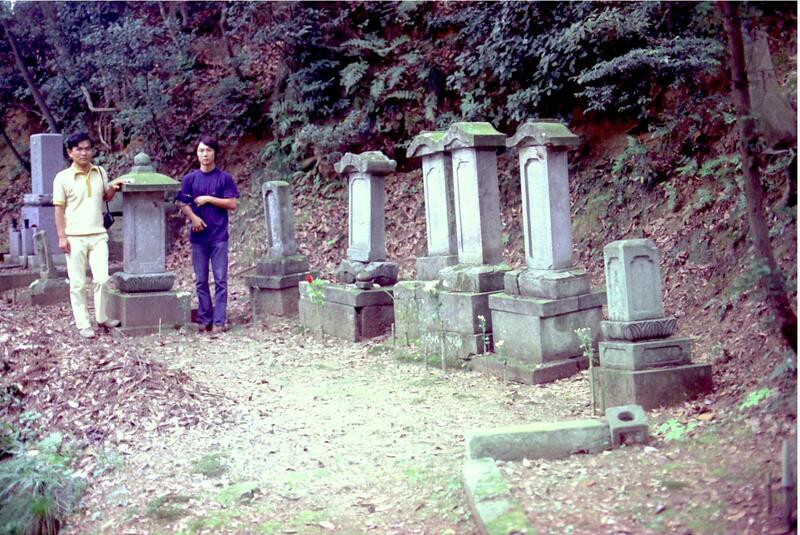 The one Tosh-chan and I are standing next to represents the resting place of a high ranking samurai. All their last names were of the “Shibayama” clan of which my grand-mother was one (my mother’s mother). According to the family’s understanding, one ancestor was so skilled in swordsmanship that he was appointed the personal instructor to the son of a shogun. I’d have to admit that would be quite an honor back then. Others were feudal lords. But…….. That is on my mother’s side and even then, half of that as she had her father’s blood in her… although my grandfather was also of samurai heritage. I know very little of grandfather’s side except that he came from the island of Shikoku. And my father’s family? They were hard-working farmers. NOT samurai. And that’s one-half of ME. Yes, my ancestors were samurai. Noble ones at that. No doubt. But what my mother drummed into me was just a tad flawed to say the least. SOME of my ancestors were samurai. So I guess John Wayne is more of a samurai than I. Make that Tom Cruise. He did a much better job portraying one in “The Last Samurai”. In a future post, you will learn of the true samurai. Not the lore. It is definitely not what you see in Hollywood movies. But in closing this chapter, here is good ol’ Tosh-chan this past summer when my oldest son Takeshi and I went to Japan. He helped us once again. Right down to the mosquitoes. 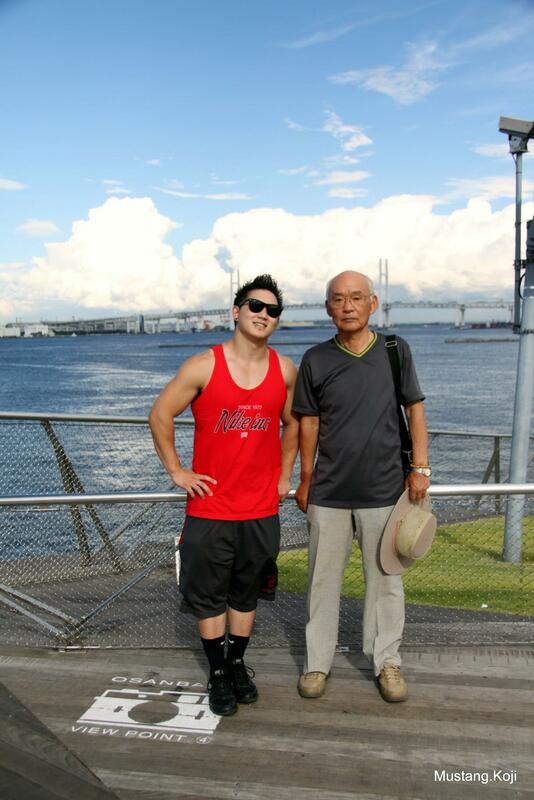 My son Takeshi and Tosh-chan in Yokohama near my father’s WWII US 8th Army HQs. Help a vet during this Christmas Season by telling him/her you appreciate their sacrifices. I know a World War II veteran. But the world doesn’t know him. During WW II he joined the armed forces to defend his country. He boarded a train to cross the entire country. He was by nature the shyest of any man ever born. But there, on the train, was a beautiful girl. He does not know how he came upon the nerve to do so but he found it, the nerve and the courage, to go talk to her. And he talked to her across the country. Literally. And he fell in love with her. And they married. He trained for two years for specialized duty. And he went to war as part of the 10th Mountain Division. Tastes great (or at least that’s what my kids say). Do not press meat mixture. Combine ingredients but do not press. 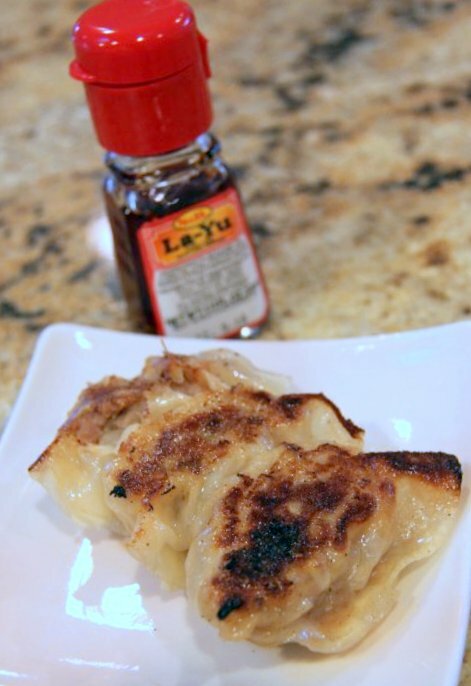 Spoon about a tablespoon of mixture into gyoza skin. Fold. Add a touch of oil to coat bottom of cast iron skillet (non-stick does not work! ), medium high heat. Cover, add about 2-3 tablespoons of water to steam. Remove when botton is browned. 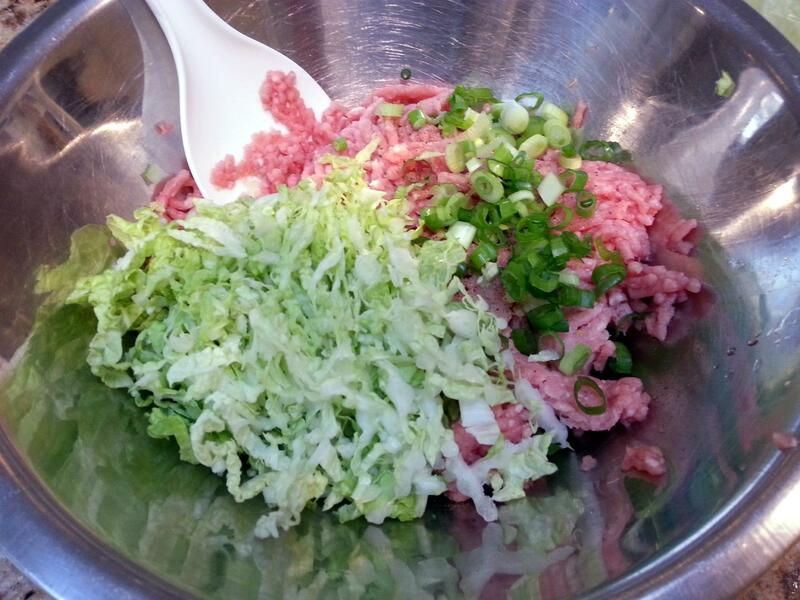 Serve with a dipping sauce made of soy sauce, “ra-yu” or chili oil, and Japanese vinegar if you like. So simple, a mechanic can do it.